Can wild horses co-exist with ranchers and their grazing cows? Author Terri Farley on Wild Horse and Burro Radio TONIGHT! Terri Farley is the best-selling author of the PHANTOM STALLION series for young readers and a contemporary Celtic fantasy nominated as a YALSA best book. She was honored by the Nevada Writers Hall of Fame and her HarperCollins books have sold more than two million copies in 28 countries. Farley is an advocate for the West’s wild horses and works with young people learning to make their voices heard. Wild at Heart: Mustangs and the Young People Fighting to Save Them, her first work of non-fiction, is due out from Houghton-Mifflin-Harcourt Fall 2015. Join us Wednesday evening for an update on our wild horses and burro’s. Presented as an educational outreach by Wild Horse Freedom Federation. Our guests tonight will be Wild Horse Freedom Federation Board members RT Fitch (Pres. ), Carol Walker (Dir. Of Field Documentation) and Marjorie Farabee (Dir. Of Wild Burro Affairs) talking about the BLM roundups of wild horses in Wyoming, the endangered donkeys in Bonaire and the International Equine Conference. 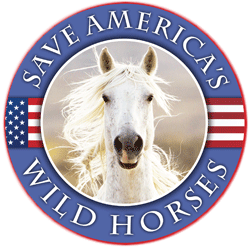 This radio show is co-hosted by Debbie Coffey, Vice-President & Director of Wild Horse Affairs at Wild Horse Freedom Federation.